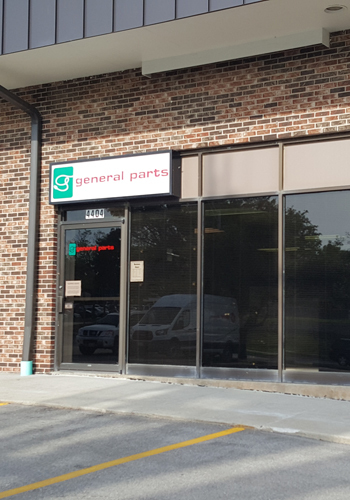 General Parts Group’s food equipment service location is conveniently located at 4404 South 108th Street, Omaha, to service eastern Nebraska and the western edge of Iowa. Contact us at (402) 408-9990 or email NEDispatch@GP-ServiceDirect.com for more information on how we can help your operation. We pride ourselves on being an all-inclusive resource for foodservice professionals and restaurant facility managers. Whether it be commercial oven or restaurant equipment repair that you need, we will deliver. Repairs – We factory-train and industry-certify our commercial appliance repair technicians to repair absolutely anything in your facility. Whatever your need, give us a call. Small commercial appliance repair – Our locations are equipped with a small appliance shop where our certified-technicians are able to repair any commercial appliance that is small enough for you to drop off. Service plans – Routine maintenance plans are one of the most important services we offer. They are the key to protecting the lifespan of your equipment. We know that every kitchen is different. That’s why we take time to customize a regular service plan that fits your exact food equipment service needs. Installation – We can install almost any commercial appliance or foodservice facility equipment. See below for information about our flexible scheduling. Emergency services – We are available to you 24 hours a day. Ask about scheduling calls out of hours to minimize business disruption. Quality parts – Our wide selection of O.E.M. parts support our technicians repair efforts. If you prefer to repair you own equipment, shop our online parts store at GP-PartsDirect.com, and ground shipping is free when picking up your part at our Omaha location. Flexible Scheduling – Schedule any of our services at the time that works for you. We can work around your regular hours to avoid disruptions to your business and customers. Progress Reports – Can’t be present during our service? You can still be in the know. When requested, we utilize our Automatic Status Update System to email progress updates throughout our service. This helps busy foodservice professionals remain aware of what’s happening in their facilities without having to stay put. Simply call this branch to have this feature turned on. Online information – When you can’t find service information in your records, no worries, we house them and more in our online Customer Portal. Click here to request access. Warranty – We also provide a 90-day labor warranty on all of our services.